Massage has long been used to relieve stress, reduce muscle tension, and decrease pain. Research also shows that it is effective in increasing circulation, improving mood, and promoting nervous system function. If you want to reap these benefits on a regular basis, without the hassle and cost of booking sessions with a therapist, why not consider buying a massage chair? “Invention of the Year,” Forbes Asia’s “Best 200 Under a Billion,” and the Red Dot Design Award. In 2013, OSIM released their second generation of uAstro massage chairs. Its upgraded features and new aesthetic make it a popular product. OSIM have stepped it up a notch with the design of the uAstro2. Unlike its predecessor, the uAstro2 features footrest rollers, an upgrade to the neck and shoulder massage program, and (for the broader among us) a roomier seat-back. It also has the same great features of the original, including kneading massagers, preset programs, and built-in lumbar heat. The OSIM uAstro2 aims to relax every muscle in your body and that’s definitely what it does. Twelve preset programs with five levels of intensity ensure that your back, hips, legs, neck, and shoulders will get a thorough massage in just fifteen minutes. It also includes built-in armrest and footrest massagers, so even your fingers and toes will get a time-out. What’s really special about the uAstro2 is the neck and shoulder massage which squeezes the muscles just like a masseuse. You can also choose from other targeted massages such as Back and Lumbar (Kneading) and Foot and Calf (Air), or automated programs like Stretch, Energize, and Relax. The uAstro2 utilizes the best in massage technology to melt away muscle tension, using optical pressure-point detection to customize each program to your body. The chair also features zero-gravity recline, which pivots the user to reduce pressure and evenly distribute weight throughout the body. Each session is completely customisable from the chair’s remote, and you can monitor massage progress from the color LCD screen. How much should you expect to pay for the OSIM uAstro2? The uAstro2 retails at $3399 in stores and online. 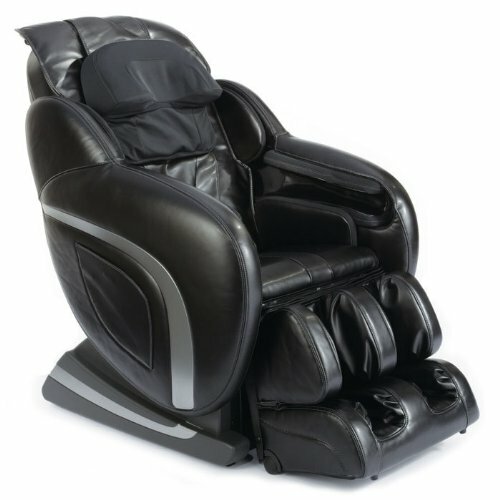 Brookstone also offer certified pre-owned massage chairs which have undergone repair and inspection. These are available at the lower price of $2899. The chair is currently only available in black. With an average star rating of 4/5, reviews of the product itself are extremely positive. Some customers have found Brookstone’s customer service less than satisfactory. However, there is always the option to buy the OSIM uAstro2 from other retailers. Other users have commented that the chair takes up a lot of room – but they also thought the amazing results were worth the extra space! Where can you read more"
A multitude of reviews are available online. Amazon.com provides detailed and unbiased reviews from product users around the world. The OSIM uAstro2 is available online (with free delivery) at Amazon.com, and from OSIM distributers throughout the US, Europe, and Asia.